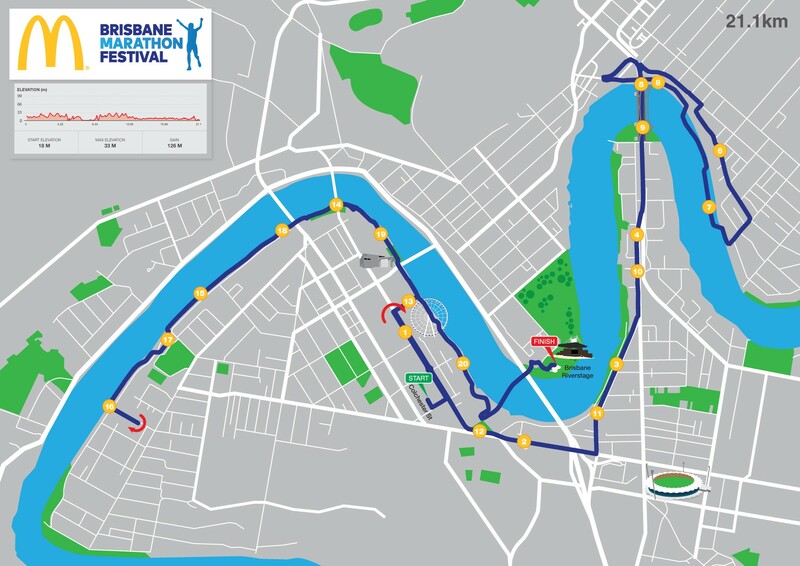 Welcome to the McDonald’s Brisbane Marathon Festival course maps for 2019. 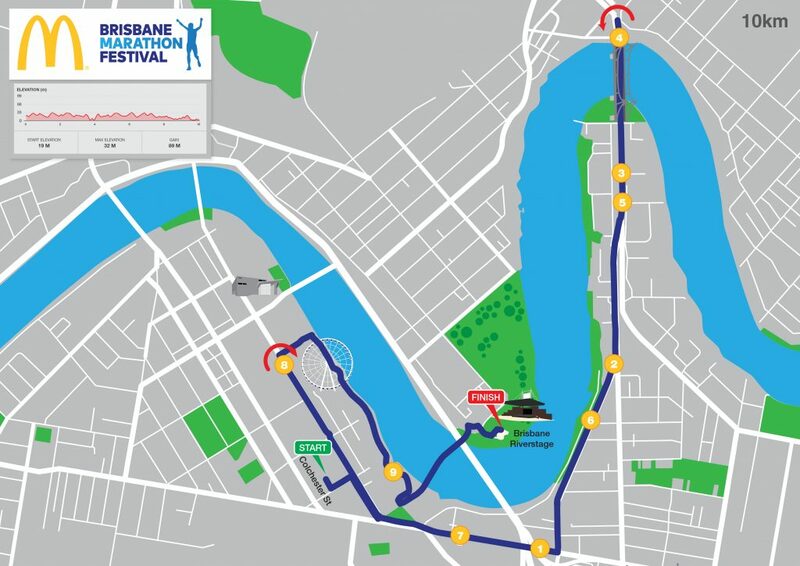 We’re delighted to offer a new and improved course, featuring the incredible opportunity to run over the main deck of the iconic Story Bridge, a run along beautiful South Bank and a rockstar finish at Riverstage! Here you’ll find maps for the 2km, 5km, 10km, 21.1km and 42.2km events. 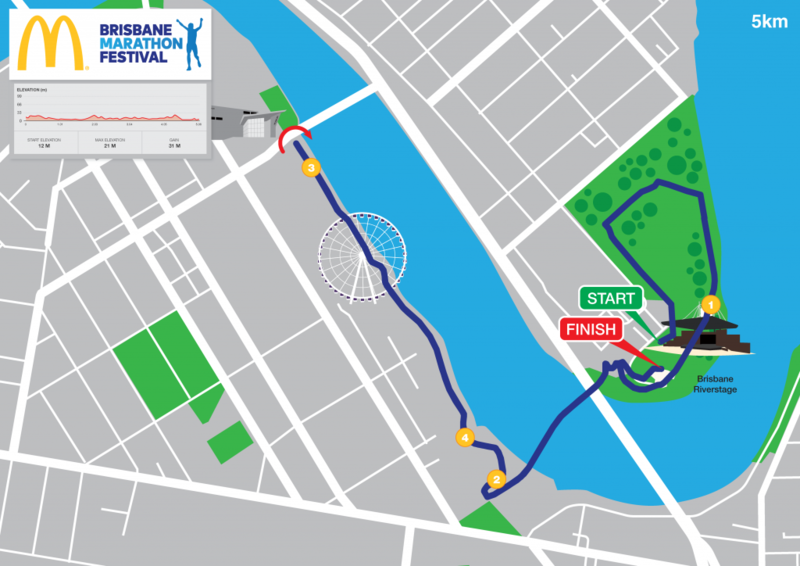 *Please note, on some browsers, kilometre markers may appear to be “missing” on the interactive maps. We can assure you the courses exist in full! 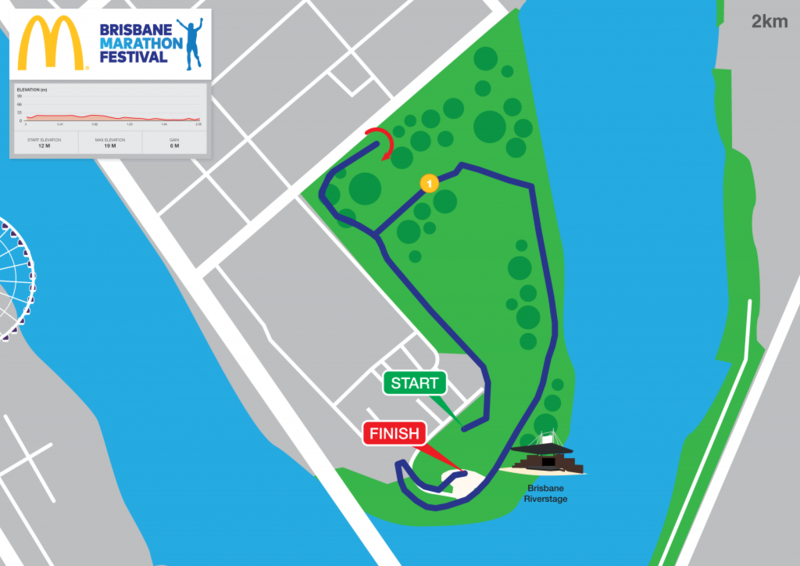 Please refer to illustrated maps for all markers.